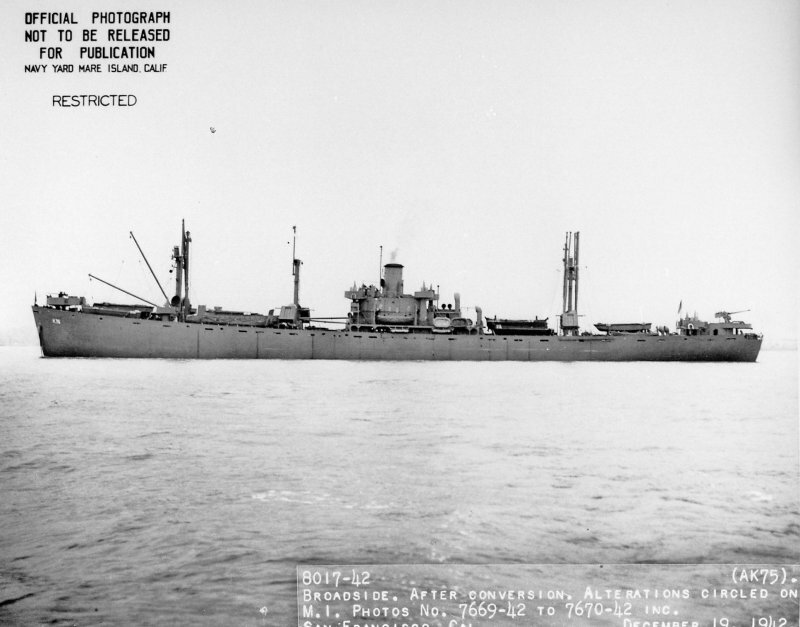 Laid down, 8 October 1942, as SS Melville W. Fuller, a Maritime Commission type (EC2-S-C1) hull, under Maritime Commission contract (MCE-504) at Permanente Metals Corp., Yard No. 1, Richmond, CA. Decommissioned, 21 November 1945, at the National Defense Reserve Fleet, James River Group, Lee Hall, VA.
34k USS Cassiopeia (AK-75), date and location unknown. 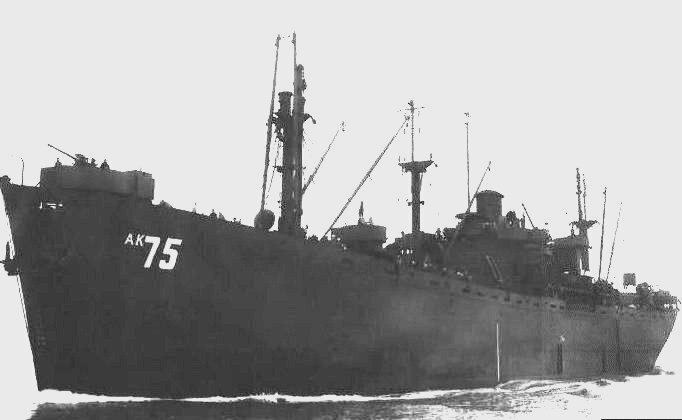 69k Broadside view of USS Cassiopeia (AK-75) off San Francisco, 19 December 1942.